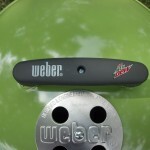 This is the only Smokey Joe we have documented that has a Diet Mountain Dew logo and script on the handle. 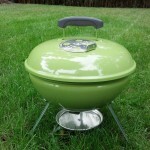 It is currently owned by WKC member Troy Dunn, aka “dwnthehatch”. 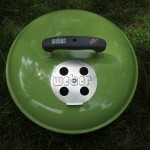 This is a new Smokey Joe with a vent code of “AT” which dates it to a 2013 grill. 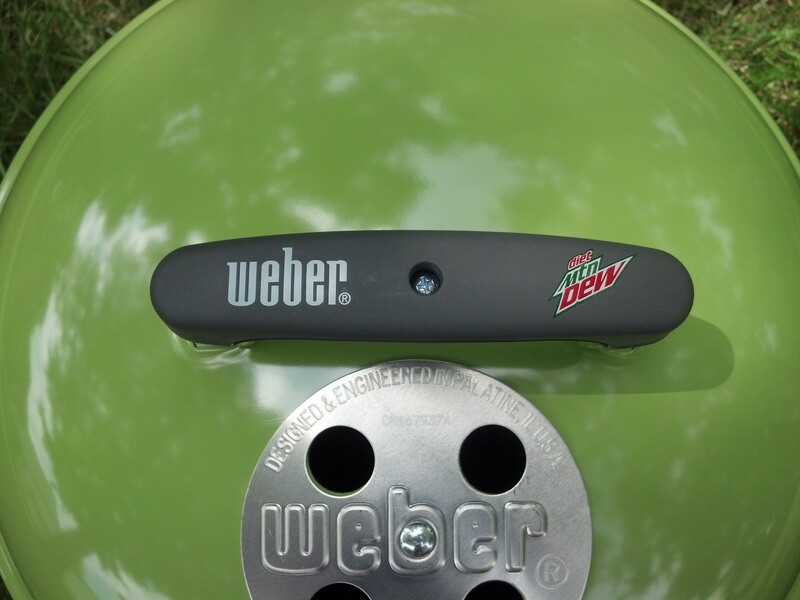 Typically we see the logo grills with a name printed on the lid, not on the handle. 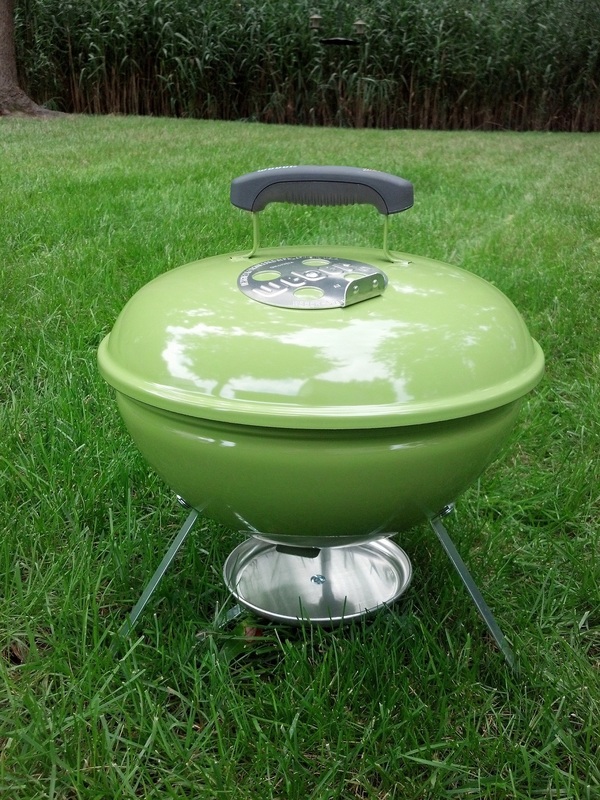 This lime Smokey Joe may be be the same color as the Uline or Crate and Barrel models, but unfortunately Troy doesn’t have the original box so we don’t know for sure. 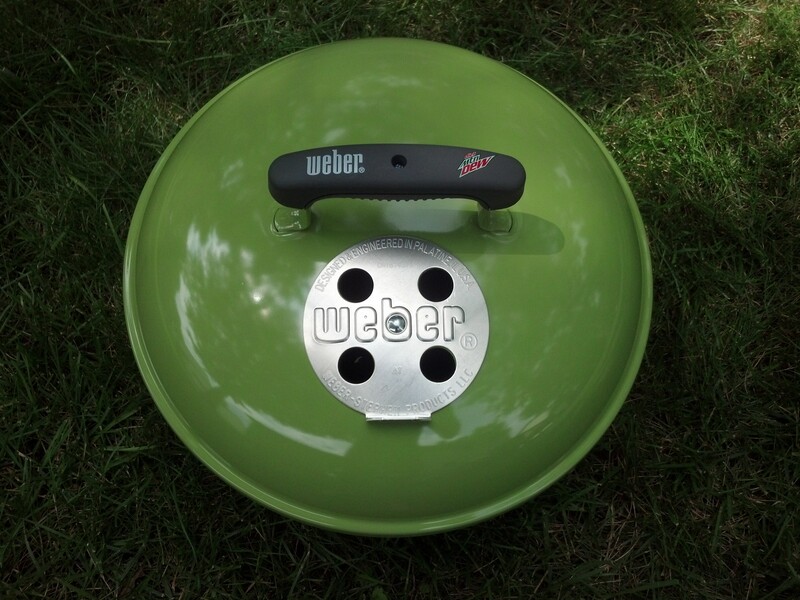 2015 Weber Kettle Club Shirts are HERE!